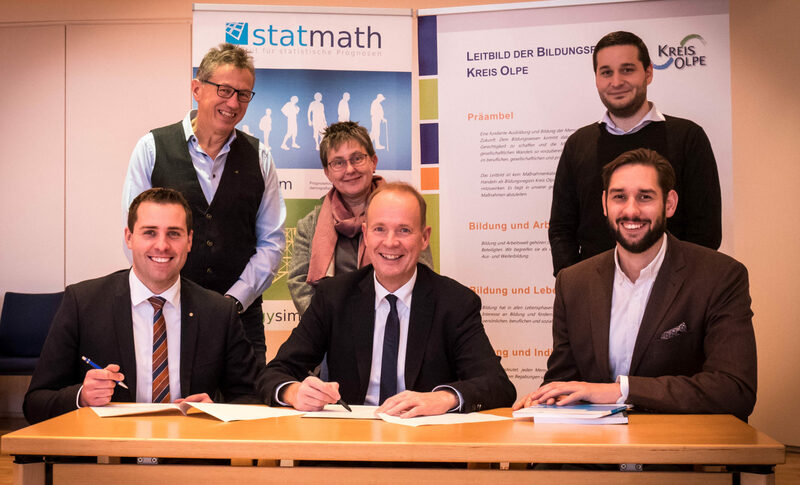 Kreis Olpe and statmath GmbH develop online applications in exchange to facilitate educational monitoring. Low birth rates, an ageing population and the associated social changes – demographic trends are emerging in the long term, particularly in rural areas. What challenges and perspectives result from this for the education system in the circles? And how do short-term changes, such as the wave of refugees in 2015 and currently rising birth rates, affect the personnel and space situation of schools and day-care centres in the Olpe district? These are the questions that policy-makers and administrations need to address on the ground. “But only on the basis of reliable data can we make forward-looking forecasts and decisions. That’s why we need educational monitoring,”; says District Director Theo Melcher. But how is it possible to maintain an overview of the large number of meaningful key figures – 3241 in total – without overtaxing politics and administration? This was the question raised by the Regional Education Network. Lukas Kroll and Christof Heimes found the answer in a cooperation with statmath GmbH. Together with our developers they developed the „demosim bildungsmonitor”. Here, users in the district administration as well as in the cities and municipalities can quickly and easily call up the desired key figures via simple search functions and display them in various diagram types or generate a report on selected sub-areas. “This enables the administrative staff to focus on the actual task, i. e. data analysis and information on developments in the education sector,” explains our Managing Director Dr. Alexander Hoffmann. 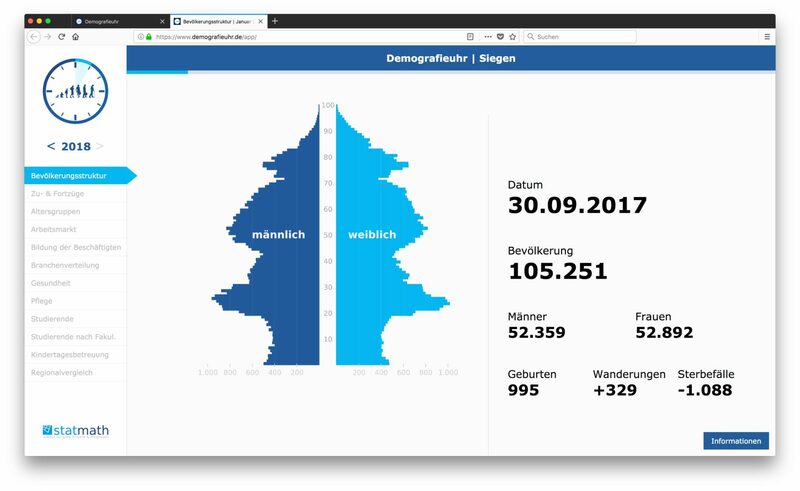 The fact that the district of Olpe is taking on a pioneering role in South Westphalia shows that the districts of Soest and Siegen-Wittgenstein as well as the Märkische Kreis will also work with „demosim bildungsmonitor” in the future. Other districts and cities throughout NRW are also showing interest. Further reports from Focus Online and the Siegener Zeitung can be found on our press page.